Let us be your Outing Specialist! Once your date has been confirmed, menu selected and any special needs identified you can be assured that our staff will be ready for your arrival on the day of the event. We will be available to assit you throughout the day and do everything within our control to make your event successful and enjoyable for you and your guests. Fees include greens fees, golf cart, range balls, cart signs, scorecards, proximity markers, score sheets and a $3.00 per player golf shop allowance. The golf shop allowance can be used for the purchase of prize merchandise or Darby Creek Gift Cards. Shotguns require confirmation 30 days in advance of the event. A minimum of 136 players are required for Weekend shotguns. Weekday shotguns are subject to course availability. A $100.00 deposit is required on all events. Side Dishes: Macaroni Salad, Potato Salad, Cole Slaw and Baked Beans. Tossed Garden Salad and Baked Potato are available with steak or chicken dinner only. All prices include a choice of 2 side dishes, lemonade or iced tea and fresh baked cookies. 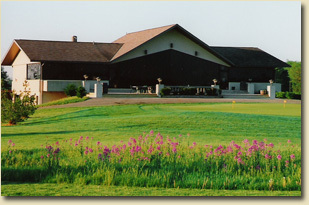 Darby Creek can assist you with all of your outing needs. Just select any or all of the items listed below (cost on these additional services will vary based on items selected, consult with a Darby Creek outing planner for details).